As you know I do a lot of research on baby products. I was thrilled when Nicki from Planet Wise told me about her site Nicki’s Diapers. Now only can I find all my favorite Planet Wise items in one spot but also many different products that I want to go with them! I can order all my favorite brands such as Bravado, bumGenius, Medela, Pediped, and more! The Planet Wise Diaper Pail Liner for Cloth Diapers isn’t the first Planet Wise item I’ve tried. I also have the Planet Wise Hanging Wet/Dry Bag and love it! So when it came time to do a baby event I knew the Planet Wise Diaper Pail Liner for Cloth Diapers would be the perfect fit. 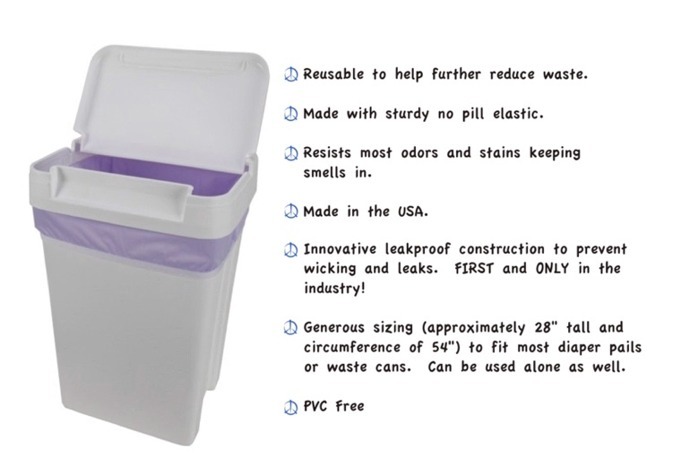 Nicki’s Diapers introduces the Planet Wise Diaper Pail Liner!! 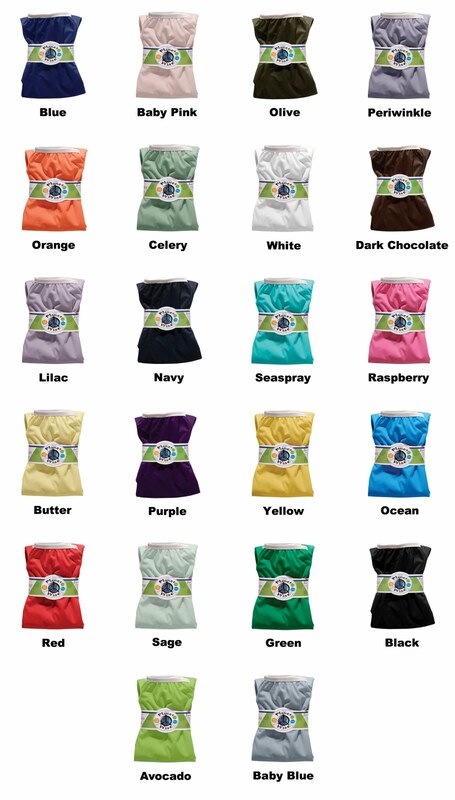 After years of research we developed a truly great diaper pail liner that will not leak or wick at the seams. What makes Planet Wise Diaper Pail Liners different? They are the first and only diaper pail liner on the market that are not only sewn but also SEALED!!! PATENT PENDING! You can put your super wet diapers, swimwear, wet towels, or anything really wet into these liners and they won’t leak or wick (condensation may occur when used in a diaper pail – this is normal and will even happen if you use a plastic garbage bag). Available in a ton of great colors along with a sturdy no pill elastic and matching thread at the seams so no white stripes down the sides at the seams! Also, please check out our new Planet Wise Wet Bags available in a ton of great prints with color coordinating zippers and waterproof layer also using the same sealing technology for no leaking or wicking. I have to admit that I really want to try out cloth diapering on my next baby. However the whole process of it scares me. Not the actual diapering but the cleaning process. Knowing the way Planet Wise products work I know that the entire process will be so much easier to deal with. I can toss all the dirty diapers right into the pail liner and then toss the pail liner in the wash when I clean the diapers. Easy peasy right? The liner itself is durable and quality made. 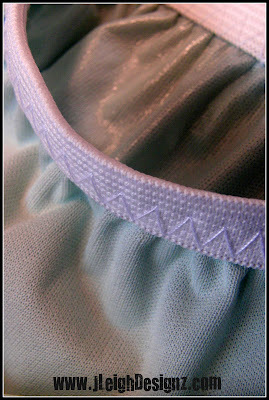 The elastic even has additional stitching for longer lasting use. The inside of the bag has a lining so that the smells and won’t leak. It even resists odors and stains! Nicki’s Diapers has offered one J. Leigh Designz Readers a Planet Wise Diaper Pail Liner! 1.) Visit Nicki’s Diapers and tell me what other great product of theirs you like!! 4.) Blog about my giveaway- with a link back to here AND Nicki’s Diapers 2 entries(get one more if you include a photo of the giveaway). 7.) Become a Fan of Mom Spotted on Facebook! 8.) Become a Fan of Nicki’s Diapers on Facebook! – Leave a Comment! That’s many chances to win a Planet Wise Diaper Pail Liner!!! Contest ends October 25th at 11:59pm!